EASY BUDGET. Cut your expenses with Money Pro®! 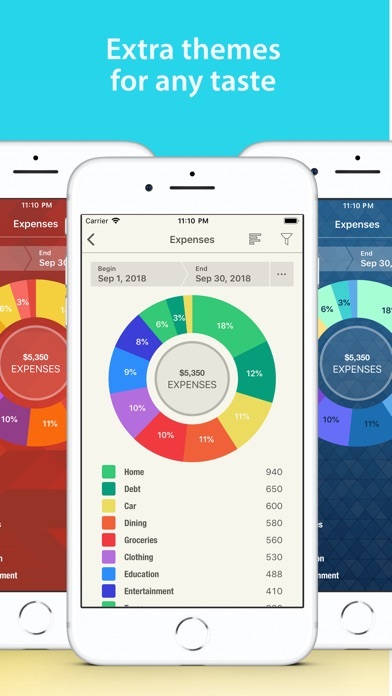 Expense tracker, budget planner & account manager - all in one app to get your finances under control. 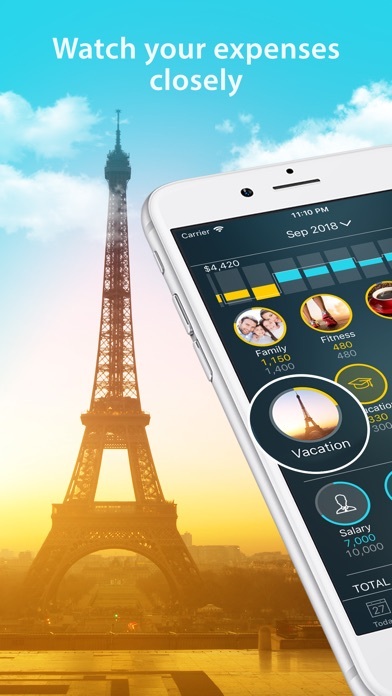 Money Pro works great for personal & family expense tracking and even for business finance management. Easy sync and iPhone/iPad versions combined in one app. 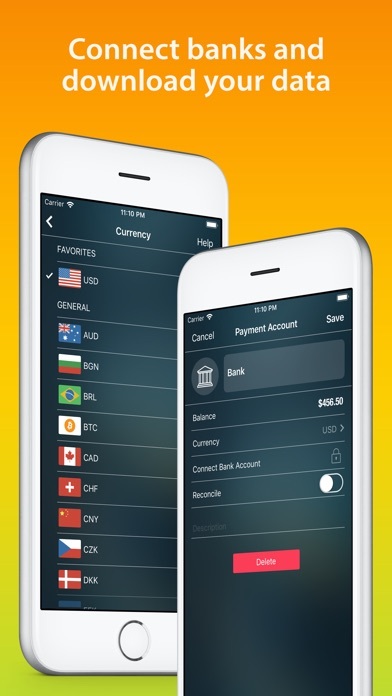 Money Pro is the next generation of Money app (over 2 million downloads worldwide). 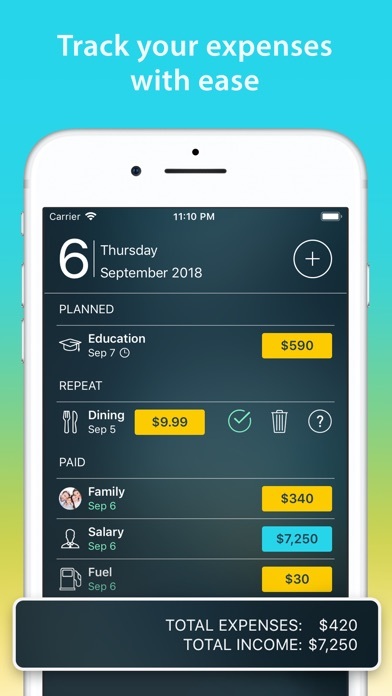 FEATURES: Simple and Secure - widget for quick expense tracking on the go without launching the app - quick and easy expense/income entries - password & backups of your data Income and Expense Tracker - split transactions: split one payment to multiple categories - search by amount, category, description, payee, cheque number etc. 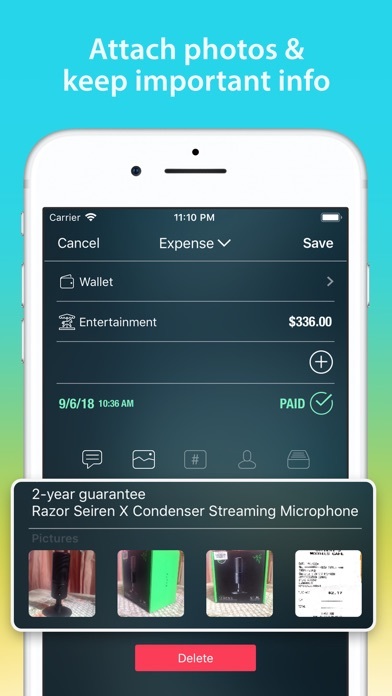 - recurring expenses with custom periodicity - calendar for scheduling expenses for the whole year ahead - notifications & alerts for bills due - tracking expenses with family members/partners and on cross-platform devices (PLUS or GOLD subscription required) - multiple profiles for separate tracking of personal and business finances - attachment of receipt (or any other) photos Budget Planner - flexible structure of categories & subcategories with over 1,500 built-in icons - custom periodicity: start your budget from any date - visual indicators for budget spending - transferring the leftover of the current period to the next budget period to limit your spending - unique icons with your own photos Account Manager - easy management of unlimited number of accounts - balance change history - additional fields for organizing your records: payee, description, check #, class (personal/business travel expenses). - import of bank statements (files: .ofx, .csv) - online banking (GOLD subscription required) Insightful Analytics - visualize where your money goes - use filters to look deeper into your spending - projected balance and trend charts will help in planning More - calculator and currency converter - print and export to pdf, qif, csv formats - multiple currencies & automatic update of exchange rates - import data from CSV - iCloud sync for iPhone, iPad, Mac (no subscription) - support service & user guide (https://money.pro/guide/) PLUS subscription - 1 Month of PLUS: $1.99 - 6 Months of PLUS: $8.99 - 12 Months of PLUS: $11.99 GOLD subscription - 1 Month of GOLD: $6.99 - 6 Months of GOLD: $29.99 - 12 Months of GOLD: $49.99 In all the countries (except the USA) actual charges will be converted to the local currency. Payment will be charged to iTunes Account at confirmation of purchase. Subscription automatically renews unless auto-renew is turned off at least 24-hours before the end of the current period. Account will be charged for renewal within 24-hours prior to the end of the current period, and identify the cost of the renewal. Any unused portion of a free trial period, if offered, will be forfeited when the user purchases a subscription to that publication, where applicable. Subscriptions may be managed by the user and auto-renewal may be turned off by going to the user's Account Settings after purchase. Terms & Privacy - http://ibearsoft.com/privacy.html - http://ibearsoft.com/terms.html Money Pro is a Universal app. Pay once and use it on your iPhone, iPad and Apple Watch. Great app! Great customer service, a little slow but good! Been using Money for years now, always been a great app and up to date. I had some issues with my data syncing across my devices when upgraded to pro & subscribed for a year, but I contacted tech support and they fixed my issue. Just a little slow for my liking, but they did fix it. Since then, everything has been working just fine and I getting what I paid for. 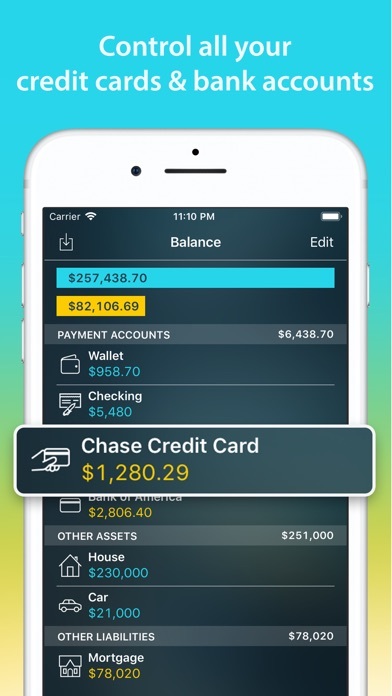 Overall great app, personally, its the best financial app on the market. 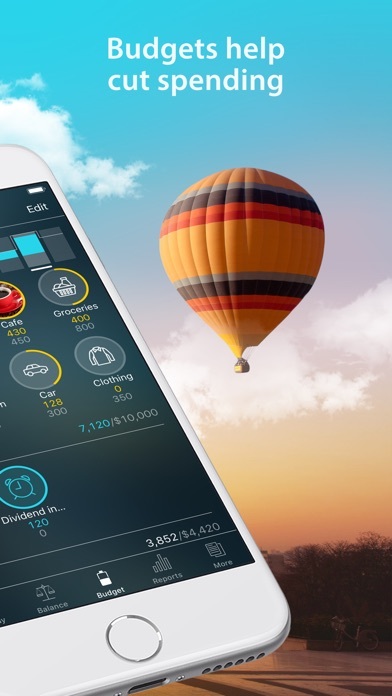 Great app to maintain control of your personal finances! Detailed of your charges as much as you like! 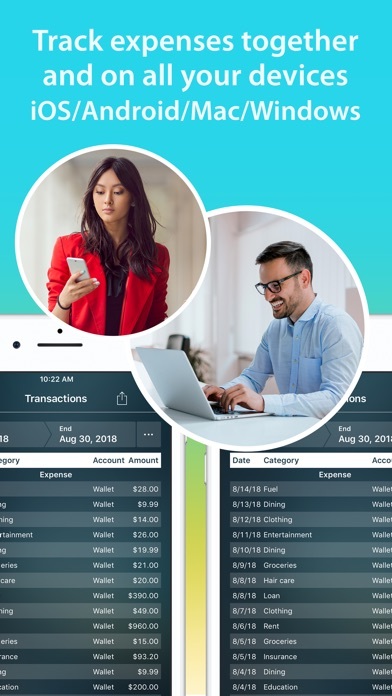 This is the best money management app! It was was put together with great thought, and perfectly executes what it’s suppose to do. Money Pro keeps it simple, while doing complex machinations behind the scenes. Like other users, the multi platform sync is not working. I paid for the service on Google play and am signed in on both Pixel 3 and iPhone but the iPhone keeps asking me to pay on App store to sync on iOS. After the initial sync when I added the app to Pixel, it has not synced since then. 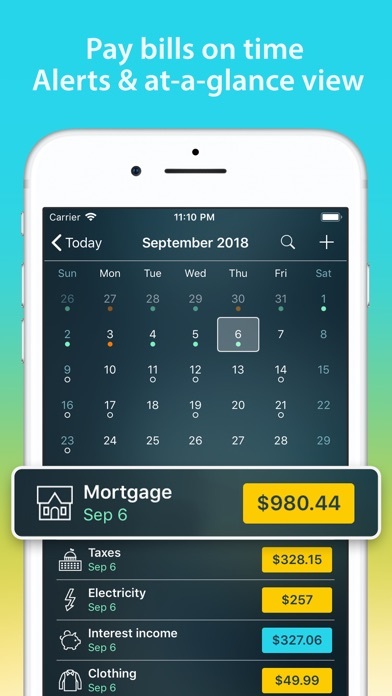 Best Financial App Hands Down!!! Just what I was looking for! 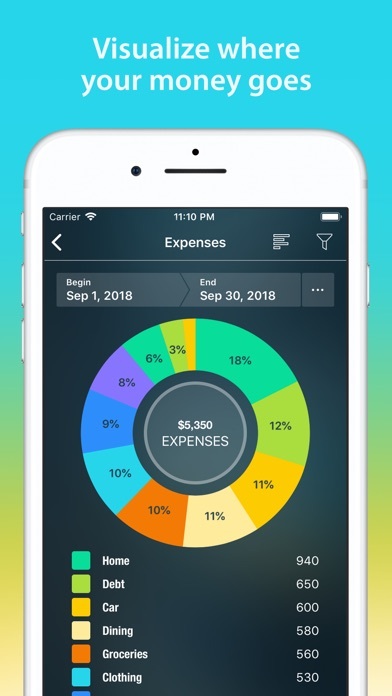 It’s everything in one app from budgeting to tracking expenses and paying off debt. Love it love it! !